Early on in Tekken 7’s story mode, I’m told to throw Heihachi’s five-year-old son off a cliff. It’s canon in the Tekken series, typically a drama saved for cut scenes. Here, it’s flippant—push the square and triangle buttons and, buh-bye, kid. Tekken 7, which will release on June 2nd, entices players who, like me, fell off after Tekken 3. You get caught up on the lore. Most—but not all—beloved heroes make an appearance. And, of course, the skill ceiling is miles-high. Everything about Tekken 7 is sharply on-brand, but because the series has seasoned, its audience is split: it was time for a Tekken that appealed to pros and novices. It is still deeply gratifying to duck under Heihachi’s high kick and uppercut his face. And, now, there’s a cat girl named Lucky Chloe who, as Kotaku’s Mike Fahey says, looks like she fell out of Harajuku in 2006. Yes, Tekken 7 is very much still Tekken. It’s a great homage to the series’ 20th anniversary, but offers little in the way of a single-player mode. Our early impressions are below. So far, Tekken 7’s story mode is an unsatisfying string of one-on-one battles, easily won with cheap tricks in medium difficulty. Spam is not an effective strategy when you’re playing against other humans, so I can’t say it’s benefited my technique much. Sewing the fights together are some very dope, very beautiful and very empty cutscenes. Even as a journalist drones on about the Mishima family history (early on, too much of the story is told through newspaper clippings), I still have questions: Who is this new character? Why do I care about them? Why are they punching each other? That said, I got to watch Heihachi kick missiles into the air, and there are some neat, fun moments when, for example, the robot Alisa’s head ends up in Lee’s hands. Unfortunately, Tekken 7’s “Easy Mode” is basically button-mashing 101. If you just want to play through the story and hit “square” and magically pull off a combo, you’re in for a treat. I found it relaxing for a little, but mourned the skill-building I’d miss out on with medium difficulty. 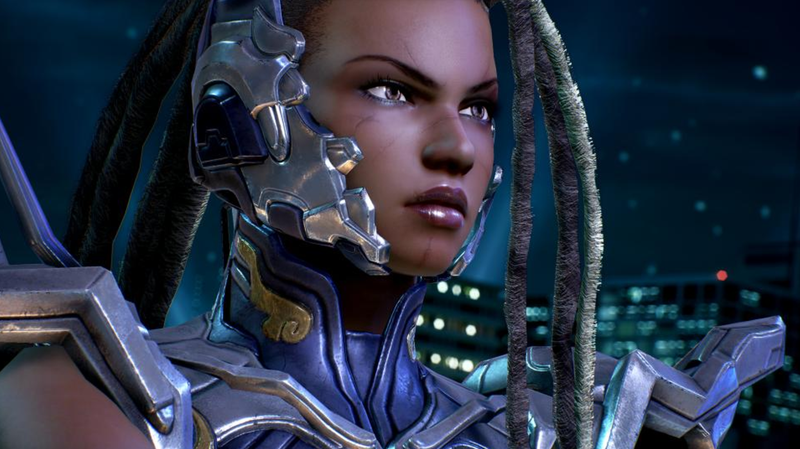 There are about a dozen new characters in Tekken 7. I have not yet played all of them. No, none of them are Lei, whom longtime franchise fans are mourning (although Street Fighter’s Akuma makes an appearance). The Saudi American bodyguard Shaheen, new to the franchise, is a hoot to play and looks stellar. He’s also the series’ first Saudi character. Kazumi, who was originally a boss, can summon a tiger between her furious punches. I got the crap beaten out of me by Master Raven on several occasions. She’s well-balanced and can juggle enemies pretty seamlessly. Breakdancing cat girl Lucky Chloe, on the other hand, is difficult to play effectively and simply not a very interesting character—her background is that she was a world-famous idol. From the characters I’ve sampled, it’s clear that there’s a stark difference between low, medium and high barriers to mastery. Yoshimitsu, as usual, is not for dabblers. Alisa, on the other hand, is quick and strong and relatively easy to gain some competence at. Law, for me, felt the same way. As is typical with fighting games, you’ll just have to play whoever feels right. 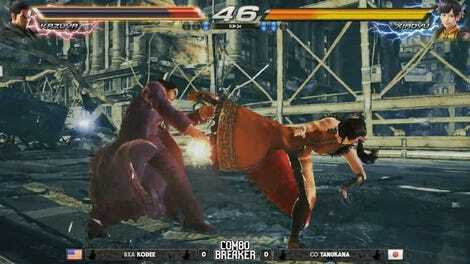 Tekken 7’s Rage system is getting a lot of hype. It’s definitely something more seasoned players will enjoy, but perhaps a little too burdensome for new players. Rage Arts are powerful attacks players can use when they’re low on health. Rage Drives are cinematic attacks that do basically the same, but come at a cost to players’ other Rage abilities. Rage Crushes are a sort of armor that lets players keep attacking while an enemy’s attacking them. 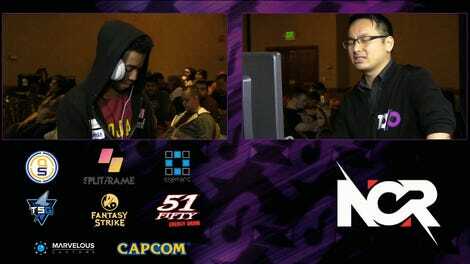 They’ll make for exciting power shifts at the end of matches, and certainly benefit the energy around Tekken 7’s pro scene. I’m not gonna lie—Tekken is hard to get good at. Sure, you can learn the basics of blocking and throwing, but characters’ sprawling lists of moves—which exceed 100 button combos—are plainly intimidating. 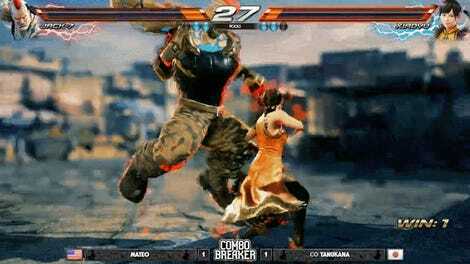 Tekken 7 director Katsuhiro Harada told Famitsu that Tekken 7 would be “easy to approach for newcomers.” If simply approaching it is what you’re after, Tekken 7 offers that. Anything more will mandate hours in the dojo. So far, Tekken 7 seems like a bold and authentic tribute to the series, despite its (so far) meh story mode. Stay tuned for our full review next week.